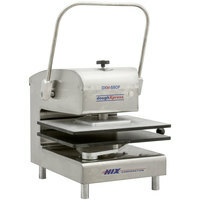 If you need to produce large volumes of chicken cutlets, chicken breasts, or hamburgers at your restaurant, use a meat press to flatten your products. 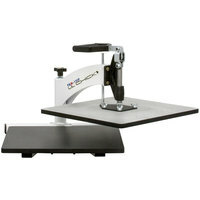 These presses will reduce your fatigue and help you flatten more than one piece of meat at a time. Simply place several cutlets or burgers on the pressing plates, and pull down on the top lever to produce pieces that are the same thickness. 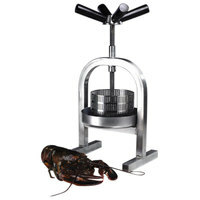 Choose from a small or large commercial meat press depending on your volume of orders. 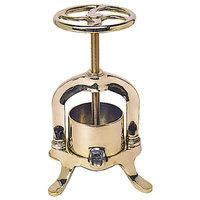 These presses have plates of different sizes to accommodate a few or many cuts of meat at a time. Since they sit directly on your countertop, you can place these machines in your prep area where you bread chicken breasts or mix ground beef. 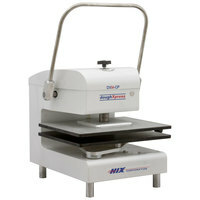 You'll also save valuable floor space by using one of these countertop models.